3D Studio Max Urdu Book read online or download 3D Studio Max Urdu Book in PDF format, 3D Studio Max Urdu Book is a detailed PDF book in Urdu language written by Irfana Yasmin, she is making animation for a private TV channel in Pakistan. This is a detailed free PDF book about making animations with the help of 3D Studio Max. 3D Studio Max Urdu Book read online or download 3D Studio Max Urdu Book in PDF format, 3D Studio Max Urdu Book is a detailed PDF book in Urdu language written by Irfana Yasmin, she is making animation for a private TV channel in Pakistan. This is a detailed free PDF book about making animations with the help of 3D Studio Max. You can learn 3D Studio Max in Urdu within 14 days by reading this guide, 3D Studio Max Urdu Book is divide in 14 days lessons and topics, but you have to work hard in order to learn 3D Studio Max. Miss. 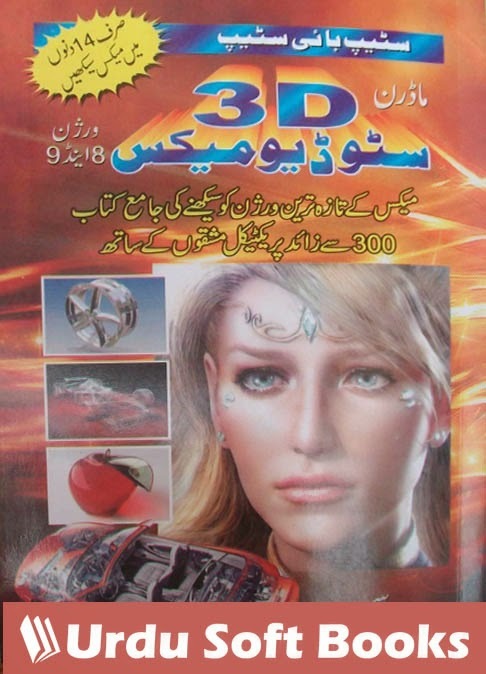 Irfana Yasmin claims that there was no such a book about 3D Studio Max in Urdu language so that she has written this book. If you are serious and want to learn 3D Studio Max in Urdu language then this book is for you because you will never find a detailed Urdu book about 3D Studio Max. Remember, with this book you will learn the modern 3D Studio Max version 8 and 9. We are going to build largest Urdu computer books library, where you can read online and download PDF Urdu computer books, you can also share these Urdu computer books with your friends through social media sharing buttons which are available on each page. This time you are watching another beautiful Urdu computer book 3D Studio Max Urdu Book. You can read online or download 3D Studio Max Urdu Book in PDF Format using below links. Your feedback and comments will help us to improve our Urdu computer books collection.